Ray LaMontagne is an American singer-songwriter and musician. Often described as the gruffer version of Otis Redding, Van Morrison and Tim Buckley, LaMontagne has released five studio albums in a career spanning more than one and a half decades. Born in Nashua, New Hampshire in 1973, LaMontagne showed an early interest in art and painting. One of six children, he was raised by his mother in Morgan, Utah. After finishing high school, LaMontagne started working in a shoe factory to supplement his family income. 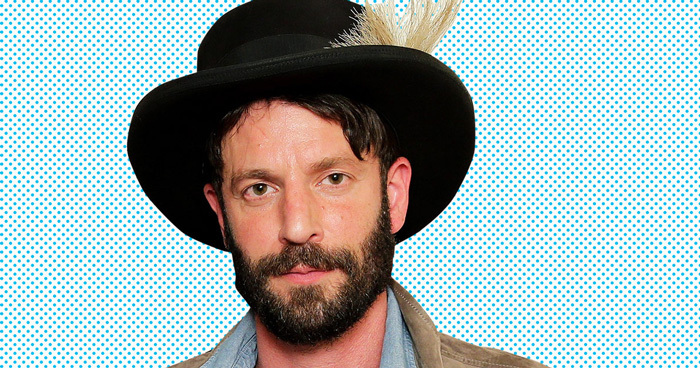 Ray LaMontagne soon quit his job to fulfill his dream of becoming a singer. His four studio albums, Trouble, Till the Sun Turns Black, Gossip in the Grain and God Willin’ and the Creek Don’t Rise have since earned much critical acclaim as well as honors and awards. LaMontagne’s debut album was a top 5 hit in the UK and sold more than 250,000 copies in the US. His second album peaked at number 28, while his third studio album managed to reach number 3 on the Billboard 200 album chart. LaMontagne cites Stephen Stills, Richard Manuel and Rick Danko as his major musical influences. He has mostly recorded with veteran English record producer and multi-instrumentalist, Ethan Johns. LaMontagne is known for his intense stage performances and concerts. He has also performed at various charity events. Ray LaMontagne received three Boston Music Awards and an XM Nation Music Award for his debut album in 2005. He was honored with the Esky Music Award for the “Best Voice” in 2006. In 2010, LaMontagne won the Grammy award for Best Contemporary Folk Album. Ray LaMontagne married Sarah Sousa, his high school sweetheart and a published poet, in his mid-20s. The couple has two children.